Today has been a long time coming: Spotify has finally got an Xbox One app, and it has background listening included. According to Xbox, the app has become available today. While the app might not show up in search results just yet, most users should see a large banner advert for the Spotify app when going to the “Store” tab on their dashboard. That banner is currently the only way to access the store listing for the app. The Spotify app will make its full library available to Xbox One users, just as you would expect. And unlike its mobile app offerings, the Xbox One app is available to both Free and Premium Spotify subscribers, meaning that everyone can play their music with the app. 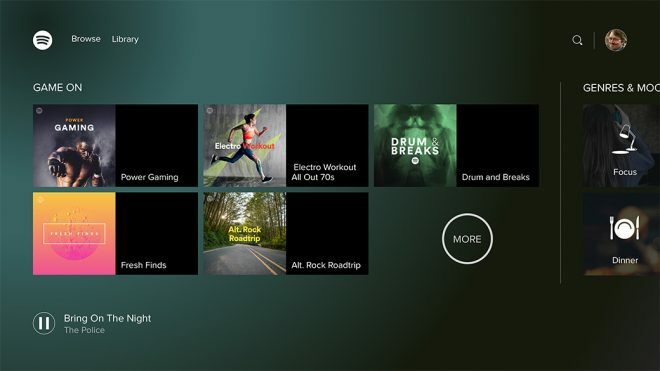 The Spotify app on Xbox One also features background listening, allowing the app to continue playing music even while the focus is on a game or other content. While Spotify is far from the first app to support this feature, it is a welcome sight to see the app make use of it. 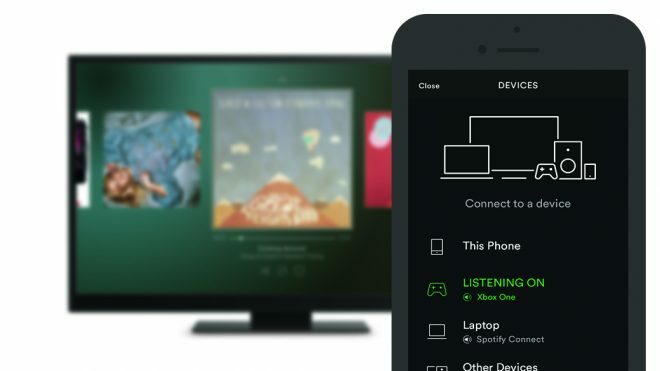 Music can naturally be controlled by the gamepad or other connected controller, but thankfully the console app will also make use of Spotify Connect, which allows the user to control music playing on one device from another device running the Spotify app. In this instance, the music might be playing on Xbox One, but the user could open the Spotify app on a phone to skip a song, queue another one, or choose an entirely different playlist to listen to. Spotify Connect is available across the company’s mobile, tablet and desktop apps, including the recent Windows 10 app. At release, the app supports 34 territories: AR, AU, AT, BE, BR, CA, CL, CO, CZ, DE, FI, FR, DK, GR, HK, HU, IE, IT, JP, MX, NL, NZ, NO, PL, PT, SG, SK, ES, SE, CH, TW, TR, UK, US. The Spotify app is now available on Xbox One. While it might not yet appear in search results, a large banner advert on the Store tab should be enough to locate it. 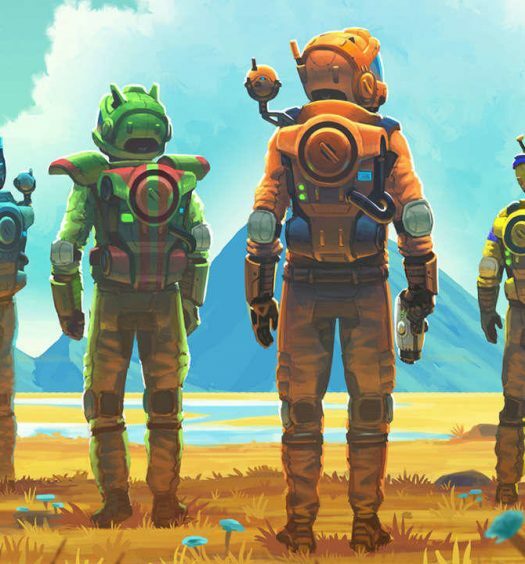 No Mans Sky NEXT patch 1.55 available now!